I was going to wait to share this product with you for a "Christmas Gift Ideas" post, but I just couldn't wait! You 100% do not have to be a baseball fan to appreciate these awesome bracelets, but I guess it doesn't hurt ;) They are made of genuine baseball glove lace leather and are stamped with either a pre-created quote, or a "create your own" quote. 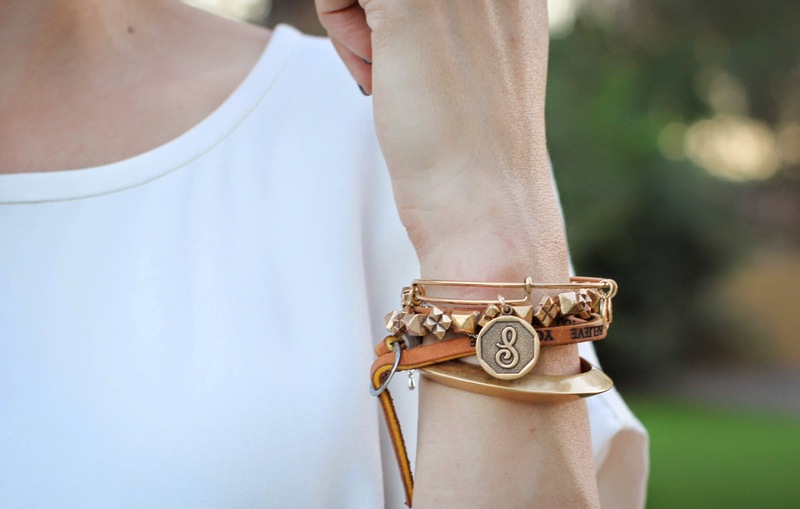 I'm obsessed with these and wear mine all the time. 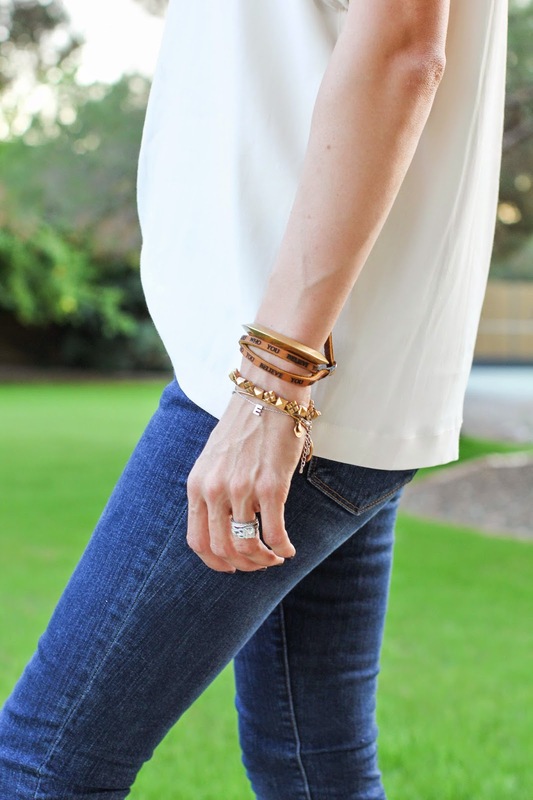 I love their "raw" look, and have so much fun mixing them into a more dressy outfit's arm party! 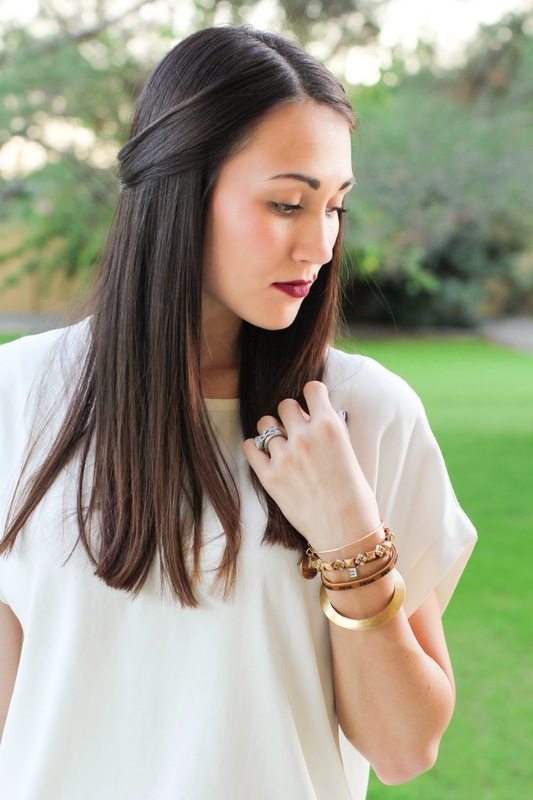 Bracelets: J Crew, Alex & Ani, Baseball Lacelet (duh) | Lips: Kat Von D Everlasting Liquid Lipstick L.U.V. I have a few Lacelets, but today I'm wearing my favorite new one, "You are who you believe you are." Huge shout out to the two hot ladies behind the Baseball Lacelet! Go get yourself one, and one for someone you love too, they are THE perfect stocking stuffer!